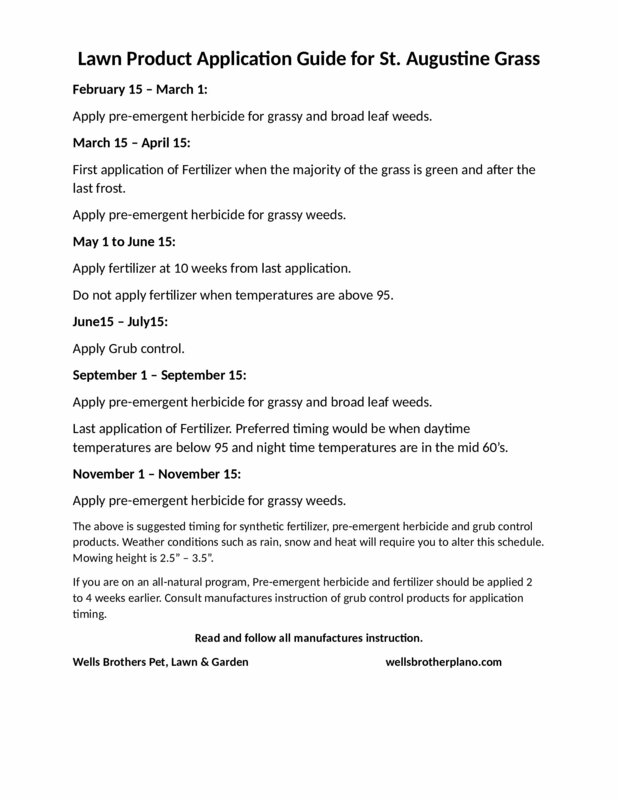 Now is the best time to apply pre-emergent herbicide. The synthetic products that Wells Brothers recommends are Gallery for the control of broadleaf weeds and Dimension for the grasses. A 10-pound bag of Gallery sells for $29.00 and will cover 2,000 square feet. This application will last around 4 months. 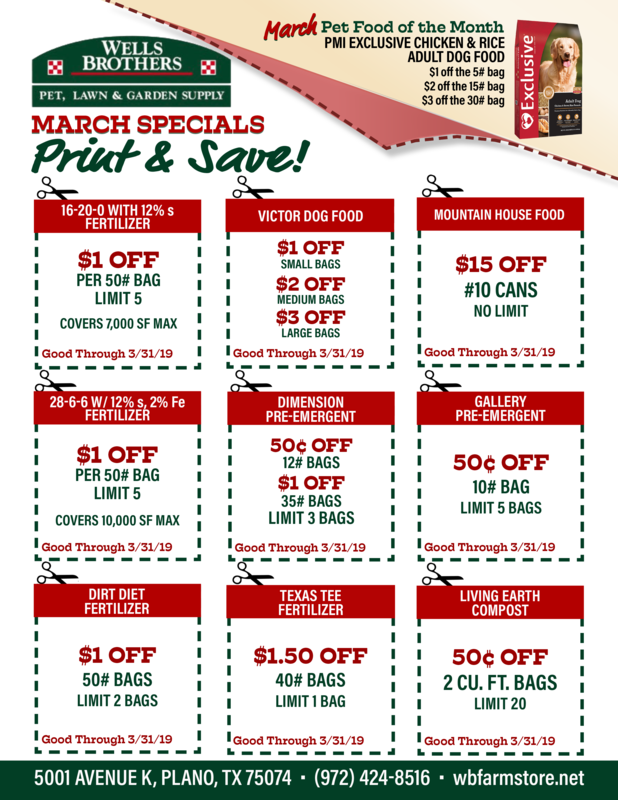 Dimension is available in two sizes; a 12-pound bag that covers 3,500 square feet for $15.10 and a 35-pound bag that covers 10,000 square feet for $40.90. Dimension can be reapplied every 4 weeks. The all-natural product is called Corn Gluten Meal. It comes in powder and granulated. The powder works faster but is a mess to deal with. The granulated is slower to activate but easier to apply. The application rate for both is 20 pounds per 1,000 square feet. The price this year is $32.00 for a 40-pound bag of powder or granulated. 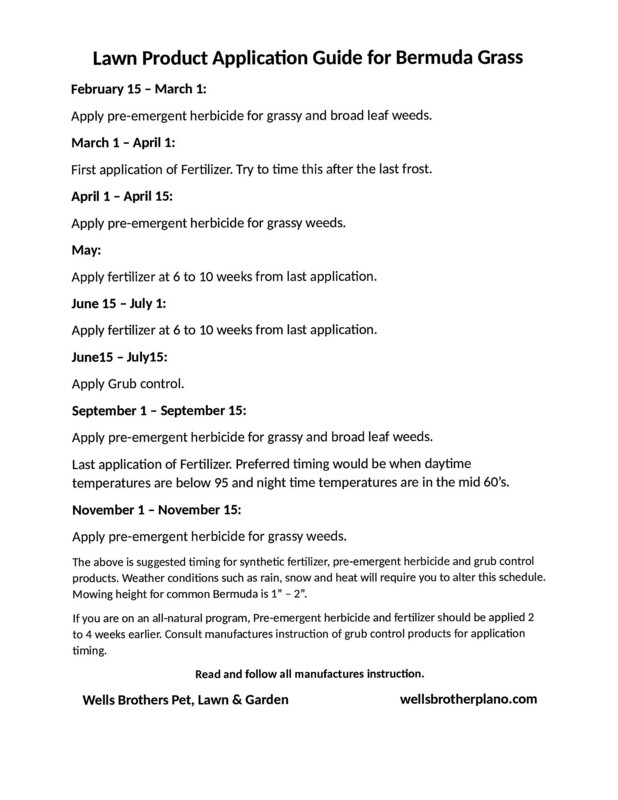 We get asked a lot about applying pre-emergent herbicide and fertilizer at the same time. The answer is you apply one then the other. You do not mix them in the spreader at the same time. 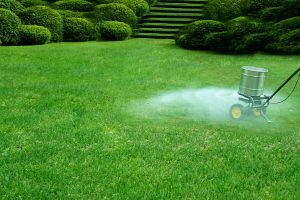 Want to know the what, when and how much of lawn products? Follow our easy Lawn Product Application Guides for both Bermuda and St. Augustine lawns. Follow our plan for a healthy, weed free lawn!